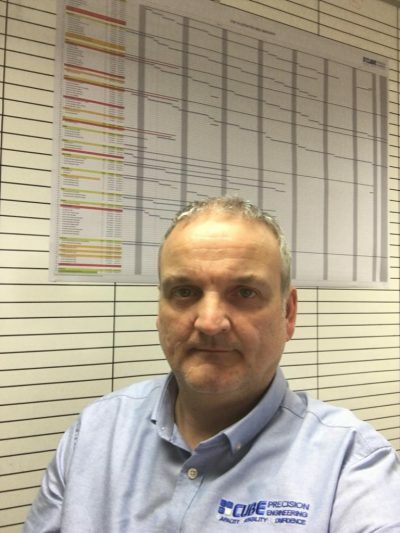 Malcolm Terry joined our team at the start of the year as our Technical Sales Manager, joining us from Aim Engineering. It has been a busy few months with more projects than this time last year coming through from our Tier one customers, across Automotive and Aerospace with our sales revenue up 300% year on year. Malcolm comments, ‘The first few months with Cube have been extremely busy bringing new customers into the business, across both Automotive and Aerospace. It really has been phenomenal in terms of order in-take and enquires, despite the uncertain times around Brexit. ‘It doesn’t stop there. We’re also looking into growing our business through diversification into oil, nuclear and gas Tier one suppliers. Their tools come from Europe and the intention would be to pass to us here at Cube for finishing, machining and inspecting, delivering back the finished component. ‘The team at Cube are great to work with, a forward-thinking production team with great support from senior management. Integrating into the team has been straight forward, and the skill level and quality on the shop floor is excellent, the individuals are focused but also work well together asa team. We are looking forward to continued growth across 2019, with the right people in the right positions to drive our sales and marketing strategy. Why not find out more about the work we do within the Automotive and Aerospace Industries?